I am not sure why they made such a good graphic novel into animation. Warning: This is not a kids movie! In fact, it is not an adult movie and for that matter not even a batman fan movie! Its a DC die hard fan movie but that is how far as it goes. 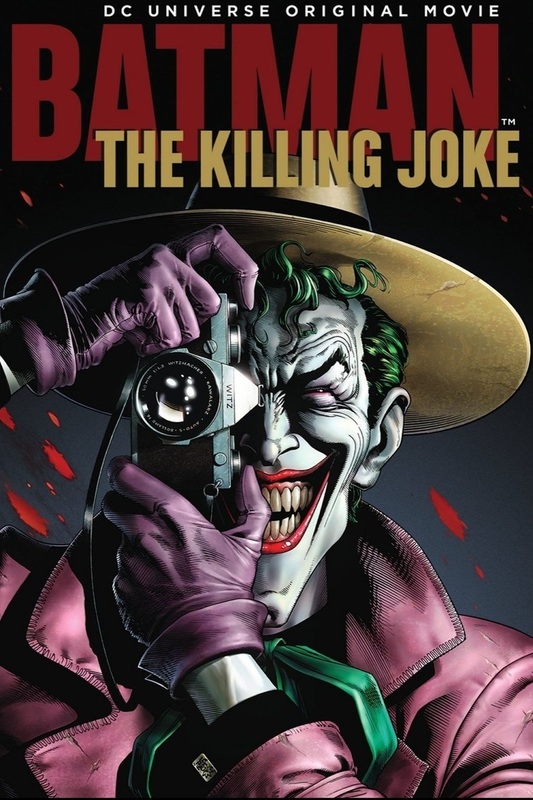 The Killing Joke is based on a graphic novel published in 1988 featuring the characters Batman and the Joker written by Alan Moore. This does not closely follow that masterpiece. It is more of a dark look at Barbra Gordon and her struggles with building a relationship with her mentor idol and weirdly love interest Bruce Wayne. In the movie it follows Barbra for the most part having little to none about the Joker until dramatic actions taken by Barbara takes Bruce' interest elsewhere. 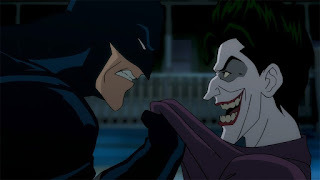 The Joker enters midway into the cartoon and it awkwardly done. The cartoon depicts a poor tortured man desperate to make good for his family and makes some bad decisions that makes him the infamous nemesis Batman can't afford to ignore. The movie is not well done. The look at Barbara is not good. Her confidence as a crime fighter and partner of Batman is not there. Her inability to not see traps all over the place and chasing a criminal's love interest is silly. The introduction of the Joker was clumsy and Batman's coldness to what transpired is disturbing. I don't think young kids need to see this movie and I am not sure if teens really get it. I was surprised after the success of Batman: Bad Blood, DC would go in this direction. The cartoon does have very good actors like Mark Hamil playing the Joker (he is great). However, the script is poor and trying to go scene to scene is not well done. 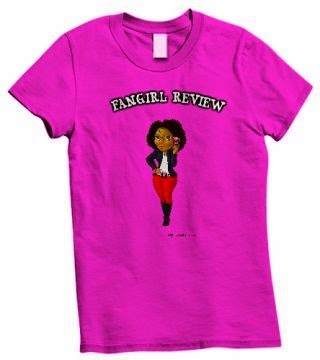 If you want a rental and into the Joker or a DC Fan you want to see this one. Everyone else would be confused and probably lose interest quickly. There are moments but not many and may confuse the not so DC Fan.